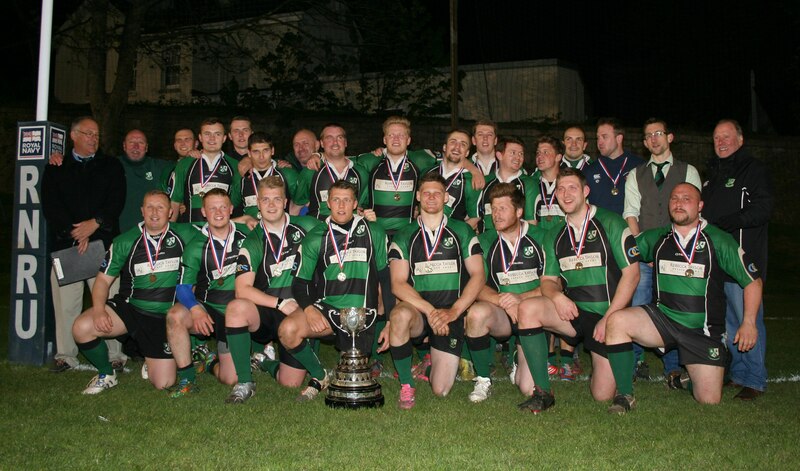 IVYBRIDGE capped a dream season by winning the Lockie Cup and Ellis Trophy in dramatic fashion on Wednesday night at the Rectory. Ivybridge’s seconds, known as the Vandals, edged out Devon One champions and holders Plymouth Argaum 25-22 in the Lockie Cup, thanks to a Tommy Newman penalty eight minutes from time. But if that was not tight enough then the Ellis Trophy final played beforehand between Ivybridge’s thirds and Argaum’s seconds produced the most sensational of endings. Argaum were 18-15 up in the fourth minute of injury-time and they were attacking Ivybridge’s right corner. But instead of keeping it tight and seeing out the win, the Bickleigh Down side decided to go wide and a bad pass was incepted by young Ben Wildman, who ran the length of the field to score under the posts and secure his team a 22-18 victory. The two defeats were cruel on Argaum, but Ivybridge were over the moon with their cup double, which came just days after the club’s first team had won promotion to National Three South West. Argaum got off to the perfect start in the Lockie Cup winning a penalty almost from the start that Richie Hewitt kicked. Newman pulled Ivybridge level with a penalty of his own before flanker Will Squire, who had an excellent first half, scored a great try for the Cross-in-Hand outfit to put them 8-3 up. Argaum responded with two more Hewitt penalties before Ivybridge had some good pressure. Squire nearly scored again before fellow flanker Joe Walker did go over and Newman converted. However, Argaum reduced the gap to just three points at half-time with another Hewitt penalty. After the break, Argaum moved up a gear and it looked like they were going to retain the Lockie Cup that they won for the first time in 90 years last season. They scored a great team try eight minutes after the interval with Dan James proving the final pass for Will Cox to touch down. Hewitt brilliantly converted to make it 19-15. They should have added another try five minutes later but their final pass let them down five metres from the line. But they put Ivybridge under pressure and won a five-metre scrum. They got the push on and looked like they were going to score before the scrum was brought down illegally by the Bridgers. The referee opted for just a penalty rather than a penalty try, which Hewitt put over to make it 22-15. Ivybridge, though, responded well. They were held up over the line in the 68th minute before Newman scored a solo effort under the posts after Argaum were not able to kick clear a loose ball. Newman converted to tie the match at 22-22. Argaum had the chance to go back in front almost straight away when they were awarded a penalty, but Hewitt, who had kicked everything all night, missed. And four minutes later Ivybridge got a penalty at the other end that Newman kicked. Argaum did not give up their hold on the trophy easily and they came close to scoring a winning try in the 76th minute but they were pushed into touch down the left wing and Ivybridge were able to see the game out. That was a cracking match but the Ellis Trophy final edged it for entertainment. It had everything – good tries, a fight, three yellow cards and a script-writer’s ending. The Ivybridge III team look like a legends side, with the likes of Joel Wakeling, Sini Manu, Paul Edwards and Paul Cioffi included in their squad. Wakeling as usual managed to get on the scoresheet, but it was youngster Ben Wildman, playing alongside his dad, Andy, who stole the show with two tries. Ivybridge went 3-0 up with a Dave Lawson penalty but they could easily have been 9-0 in front as he narrowly missed two other kicks at goal – one which bounced off the upright. Argaum’s seconds, the Wanderers, had made a slow start but they eventually found their feet and they went in front on 10 minutes when winger George Seymour scored a great try with a clever dummy after some good team build-up. Paul Ansell converted to make it 7-3. Ivybridge had a good chance but they were pushed into touch, before the same thing happened to Seymour at the other end when he was just a metre or so away. Argaum did get a second try courtesy of Karl Sullivan, who went over from close range after some good handling and a line-out steal. That put the Wanderers 12-3 up. But the Bickleigh Down team messed up at the restart and Ivybridge took advantage with young winger Wildman going over in the corner to make it 12-8. Argaum then shot themselves in the foot again. They came so close to scoring before winning a penalty. They went for the five-metre line-out but the referee penalised them and within seconds Ivybridge were at the other end scoring through a solo effort from Wakeling, who showed he still has a turn of pace. Lawson converted to give his side a 15-12 half-time lead. Ansell levelled the match early in the second period with a penalty before Lawson missed one at the other end. Tempers then flared as Argaum attacked and both teams had a player sin-binned following a fight fight before Ansell kicked another penalty to put his side 18-15 up. Argaum, with their pack on top, then camped themselves in Ivybridge’s 22 and the Cross-in-Hand side end up picking another yellow card. But just when it looked like Argaum had done all the hard work to lift the trophy, they had a moment of madness and went for a needless risky pass wide when they just needed to keep it tight. Young Wildman accepted the gift and showed his gas to run clear and dive under the posts for an easy conversion Lawson. 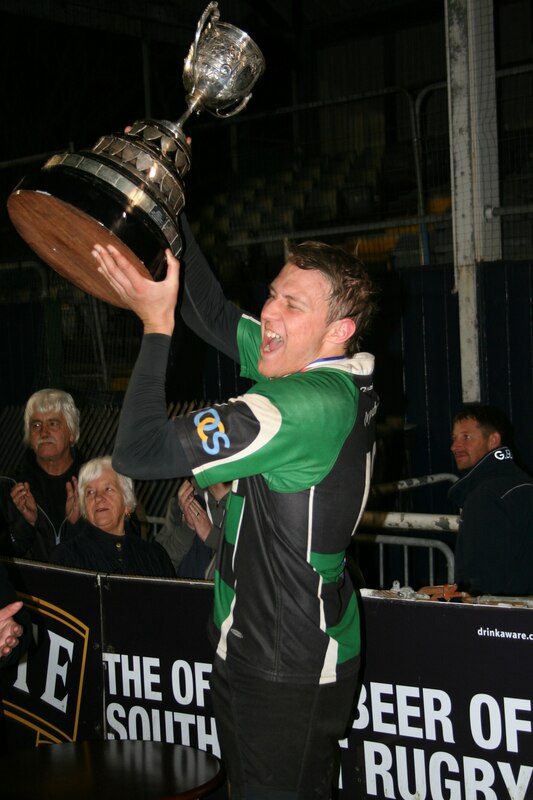 You had to feel for the Argaum players as that has to be one of the worst ways to lose a cup final, but it did not stop Ivybridge enjoying the moment as their club got their hands on another piece of silverware. Tags: Rugby. Bookmark the permalink.